Rethink the Bag: Make your pledge! Please add your pledge and be part of a movement to change South Africa for the better. Click here to make a pledge. Rethink the Bag is a campaign of the Two Oceans Aquarium, with the aim of educating people about the harm being caused by single-use plastic shopping bags, equipping them with the tools and knowledge needed to implement change in their communities and businesses, and campaigning for a disposable plastic bag free South Africa. Plenty of sustainable, reusable alternatives exist - there's no need to suffocate our planet in plastic bags. The Two Oceans Aquarium would like to call on all South African citizens who care about the future of our environment to make a pledge to stop using single-use plastic bags and support our petition to have them banned. Together we can make a change! 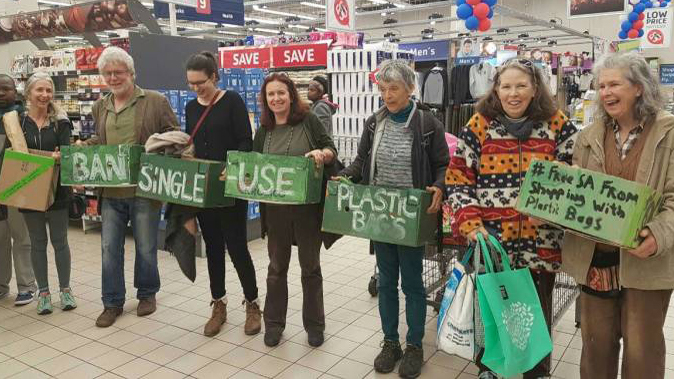 Please sign our petition to ban single-use plastic shopping bags in South Africa. When thousands of people raise their voices, the message is hard to ignore. If you have a couple of minutes, please tell us about your relationship with shopping bags. This is a short survey and will help us understand how we can connect with consumers just like you. Show the world that you care about the environment! Post a photo of yourself with your reusable shopping bag on Facebook, Twitter or Instagram and use #RethinkTheBag. Add your powerful voice to the Rethink the Bag pledges - show the decision makers that the public wants change. Without your voice, we can’t change their minds. 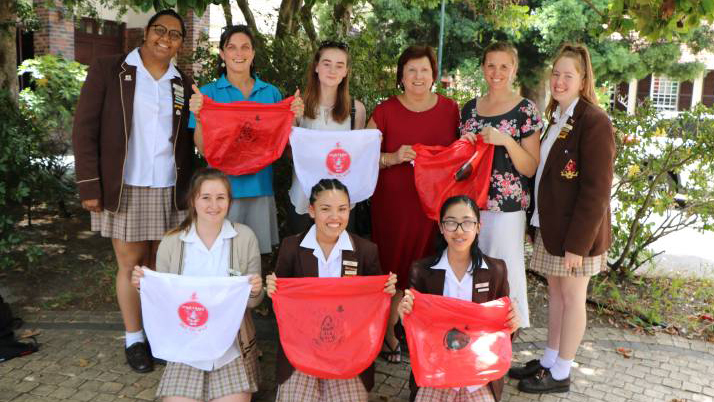 In 2010 Hayley McLellan (now the Environmental Campaigner at the Two Oceans Aquarium) started the Rethink the Bag campaign as a personal stance against ever increasing plastic pollution. This campaign aims at having single-use plastic bags banned in South Africa. 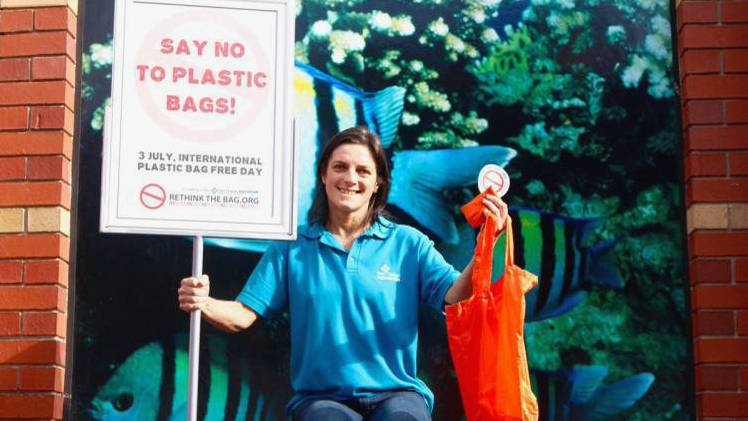 In 2011, the Aquarium made the decision to fully support this campaign which led to staff and volunteers committing to no longer bringing single-use plastic bags onto the Aquarium premises. Instead, they would be conscious about using reusable, long-life shopping bags. In 2013, the campaign was incorporated into the Aquarium’s own sustainability efforts and is promoted at every opportunity through exhibits, signage, training and awareness initiatives, and education programmes. One year later - how's Bargain Books ban on plastic bags going? "I will engage with other stakeholders to sensitise the nation about this issue." "Whenever I forget my reusable, long-life shopping bag at home, I buy another one. Collection growing." "I refuse to buy or accept single-use plastic shopping bags. I will take my own reusable bags to the shops. Join me, and pledge to #RethinkTheBag. I'm calling on all my friends, not just in South Africa, but around the world to take the pledge with me!" "I haven't bought a single plastic bag in months. Since seeing the effects it has on marine life, especially whales and seals, I have pledged to never buy one again. I get so frustrated by all the plastic baggies put over or around our products, since they all just get tossed in the bin to be blown around by the wind. I believe that it is better to light one candle than to curse the darkness, so I will do what I can as one person to make a difference. Thanks for this initiative. It is inspiring!"